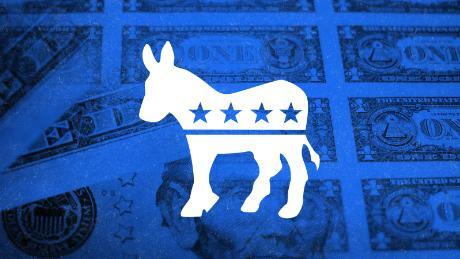 A CNN analysis of newly filed campaign-finance reports shows several Democratic candidates raised general-election funds — available only if they capture the nomination — alongside the money they can use in the primary battle. Lumping in an extra $300,000 into his first-day haul allowed O’Rourke, for instance, to claim a larger first day windfall than rival Sanders, who reported raising $5.9 million in the first 24 hours of his presidential bid. But Sanders, who raised only primary money, has more cash available for the fight at hand, the new figures show. O’Rourke’s aides did not immediately respond to CNN’s request for comment. First-quarter fundraising is viewed as a key benchmark of a candidate’s viability, and in a crowded Democratic field of nearly 20 contenders, candidates are eager to demonstrate their financial prowess. The way candidates describe fundraising became a flashpoint in the 2008 Democratic primary that pitted Hillary Clinton against a Barack Obama, then a newcomer to the national political stage. At first blush, Clinton’s receipts of $36 million in the first quarter of that race appeared to swamp Obama’s $25.8 million. But Clinton’s totals included $10 million transferred from her Senate campaign account and another $6.9 million reserved for the general election, putting the New York senator behind Obama in fundraising and calling into question her status as the party’s presumed frontrunner in a presidential race that Obama would eventually win. In the 2020 election, a presidential candidate can raise up to maximum of $2,800 from an individual for the primary election. Money that supporters contribute above that amount is set aside for the general election. So, candidates such as Klobuchar, who held fundraising events that solicited both primary and general election money, can’t use all the money they have collected. About 11% of the $5.2 million the Minnesota senator collected in individual contributions during the first months of her campaign, are locked away for the general election, CNN’s tally shows. The proportion is higher for other candidates. General election dollars account for nearly $300,000 — or a little more than 13% — of the $2.25 million Washington Gov. Jay Inslee raised in individual contributions during the first quarter. Inslee, who has made combating climate change the central issue of his presidential bid, ranked No. 9 in fundraising among the 16 Democratic contenders who reported raising money in the January-to-March fundraising quarter. For Castro, a former Housing and Urban Development secretary in the Obama administration, more than 12% of his $1.1 million total can’t be used for the primary, putting him further behind the frontrunners in the chase for primary dollars. Castro and Klobuchar aides did not immediately provide comment.